Sending flowers is a great way to express your sentiments or celebrate any occasion. A good thing about gifting flowers is that people of all age, gender, profession, and status can send flowers to their dear one. It is acceptable for any occasion. Whether you want to wish someone on his/her birthday or just want to express your gratitude towards your mother on the occasion of mother’s day, flowers are just the perfect gift. From wedding to congratulations, valentine’s day to women’s day, get well soon, to funeral, flowers are the only item that is always accepted. LolaFlora flowers are cut that morning, put into flower arrangement and sent out before they wilt. That means you get the freshest, most inexpensive flowers because there is no middleman. When you browse through LolaFlora website looking for just the right flower arrangement, go directly to the seasonal flowers. 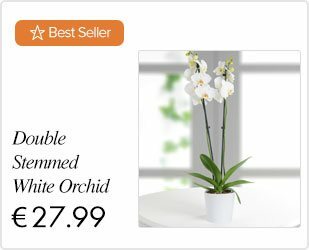 It’s usually called, spring flowers or sale flowers or best sellers. At LolaFlora, we offer flower delivery service which guarantees safe and on-time delivery. This will ensure that the flowers arrive fresh at the recipient’s doorstep. 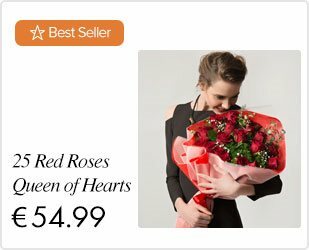 We also offer same-day delivery if the order is placed before noon, which is a good option if the flowers have to be delivered urgently. LolaFlora has a very high-quality standard and is quick in responding to queries and complaints. LolaFlora allows customers to contact their customer support personnel online. Secondly, you need to consider the variety of flowers and floral arrangements available. LolaFlora has special flowers and bouquets for special occasions like Valentine’s Day, Mother’s Day, Father's Day, Christmas and Women's Day. Beside this, we also offer people to send candies and gifts with the flowers, which makes a nice overall impact. At LolaFlora, we offer prices that are within your budget. At LolaFlora we offer secured payment option. There are many fraudulent firms operating online that steal your financial data. Hence, you need to be careful when making payment. We ensure that the SSL certificate of our payment system is up-to-date. When you order flowers at LolaFlora, we will certainly brighten up their day and be able to show them how much you care. We offer prices that are economical and our flowers are fresh always as we make it our priority to deliver quality flower and not less. Surprise your loved ones today by getting the best flowers for them from LolaFlora as you will be able to avoid embarrassment and disappointment caused by problems in the delivery of flowers.